After you cut the wood, sand it & then apply one coat of wood stain using an old rag. Don’t forget to wear some rubber gloves to protect your hands. Let dry. 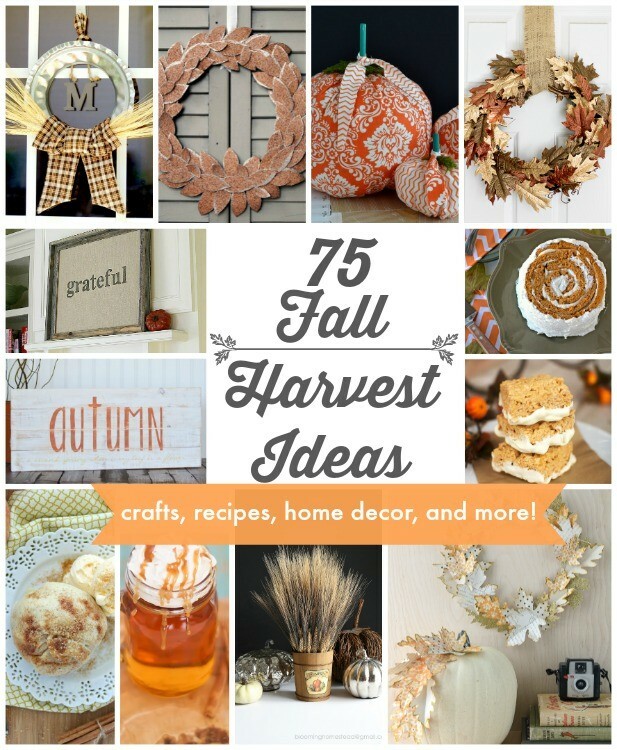 I've teamed up with a group of 75 bloggers to share tons of Fall Harvest Ideas with you! From crafts, to recipes, to home decor and more...we have you covered for Fall inspiration!